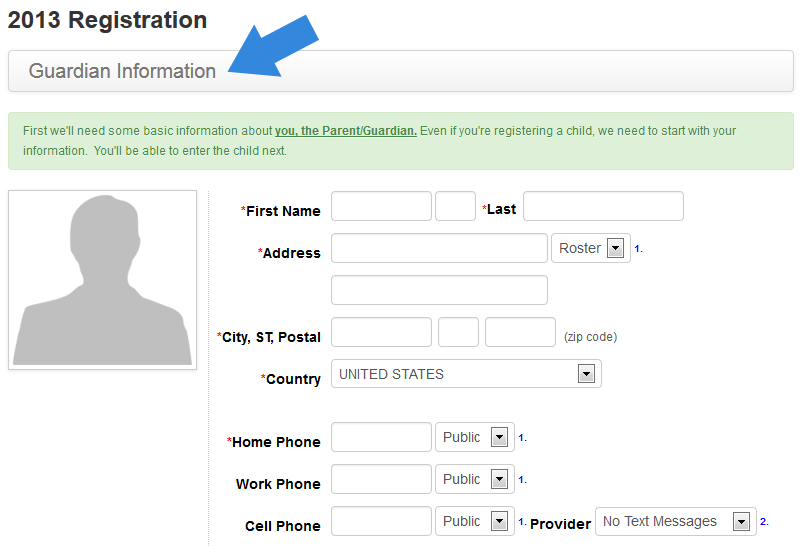 To begin registering online, locate the Registration link. 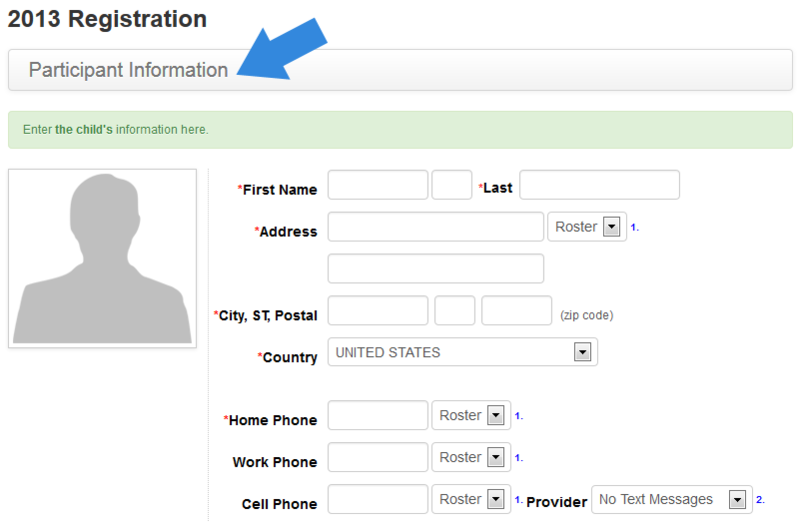 This can be a colored button on the right side of the Home page or click on "Online Registration" on the left side of the website. 9. If you experience a problem during registration or have a question, please contact a Board Member or the webmaster .